It was a rough fourth quarter for many hedge funds, which were naturally unable to overcome the big dip in the broad market, as the S&P 500 fell by about 4.8% during 2018 and average hedge fund losing about 1%. The Russell 2000, composed of smaller companies, performed even worse, trailing the S&P by more than 6 percentage points, as investors fled less-known quantities for safe havens. This was the case with hedge funds, who we heard were pulling money from the market amid the volatility, which included money from small-cap stocks, which they invest in at a higher rate than other investors. This action contributed to the greater decline in these stocks during the tumultuous period. We will study how this market volatility affected their sentiment towards International Flavors & Fragrances Inc (NYSE:IFF) during the quarter below. Is International Flavors & Fragrances Inc (NYSE:IFF) a sound investment today? Investors who are in the know are in a bearish mood. The number of bullish hedge fund bets were cut by 1 in recent months. Our calculations also showed that IFF isn’t among the 30 most popular stocks among hedge funds. IFF was in 21 hedge funds’ portfolios at the end of December. 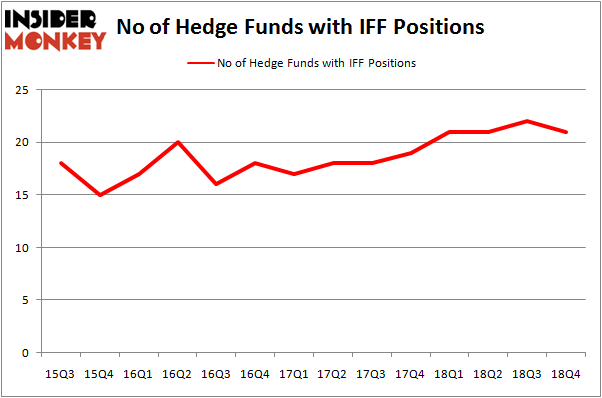 There were 22 hedge funds in our database with IFF positions at the end of the previous quarter. We’re going to take a look at the latest hedge fund action regarding International Flavors & Fragrances Inc (NYSE:IFF). 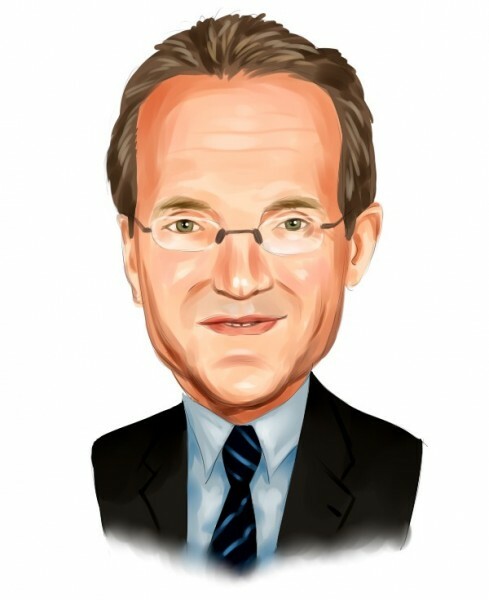 What have hedge funds been doing with International Flavors & Fragrances Inc (NYSE:IFF)? At Q4’s end, a total of 21 of the hedge funds tracked by Insider Monkey were long this stock, a change of -5% from the second quarter of 2018. On the other hand, there were a total of 21 hedge funds with a bullish position in IFF a year ago. So, let’s examine which hedge funds were among the top holders of the stock and which hedge funds were making big moves. The largest stake in International Flavors & Fragrances Inc (NYSE:IFF) was held by GAMCO Investors, which reported holding $73 million worth of stock at the end of September. It was followed by BlueCrest Capital Mgmt. with a $26.4 million position. Other investors bullish on the company included Adage Capital Management, Oaktree Capital Management, and Markel Gayner Asset Management. Since International Flavors & Fragrances Inc (NYSE:IFF) has faced falling interest from hedge fund managers, it’s easy to see that there was a specific group of money managers who were dropping their positions entirely last quarter. At the top of the heap, Robert Joseph Caruso’s Select Equity Group sold off the biggest stake of the “upper crust” of funds followed by Insider Monkey, comprising an estimated $44.2 million in stock. Jim Simons’s fund, Renaissance Technologies, also dumped its stock, about $25 million worth. These moves are important to note, as total hedge fund interest was cut by 1 funds last quarter. Let’s go over hedge fund activity in other stocks – not necessarily in the same industry as International Flavors & Fragrances Inc (NYSE:IFF) but similarly valued. We will take a look at Loews Corporation (NYSE:L), Waters Corporation (NYSE:WAT), Best Buy Co., Inc. (NYSE:BBY), and Fortis Inc. (NYSE:FTS). This group of stocks’ market caps are closest to IFF’s market cap. As you can see these stocks had an average of 22.5 hedge funds with bullish positions and the average amount invested in these stocks was $523 million. That figure was $166 million in IFF’s case. Waters Corporation (NYSE:WAT) is the most popular stock in this table. On the other hand Fortis Inc. (NYSE:FTS) is the least popular one with only 14 bullish hedge fund positions. International Flavors & Fragrances Inc (NYSE:IFF) is not the least popular stock in this group but hedge fund interest is still below average. This is a slightly negative signal and we’d rather spend our time researching stocks that hedge funds are piling on. Our calculations showed that top 15 most popular stocks among hedge funds returned 19.7% through March 15th and outperformed the S&P 500 ETF (SPY) by 6.6 percentage points. Unfortunately IFF wasn’t in this group. Hedge funds that bet on IFF were disappointed as the stock lost 7.2% and underperformed the market. If you are interested in investing in large cap stocks, you should check out the top 15 hedge fund stocks as 13 of these outperformed the market.